A superb walk through the Julian Alps, Slovenia’s highest mountains. In the northwestern corner of Slovenia, close to Austria and Italy, are the limestone mountains known as the Julian Alps. The range was the stage of bitter fighting during WWI (with relics on the trails to prove it) and Hemingway wrote his book, ‘Farewell to Arms’, while based in these mountains. More recently they have become famous for the exciting trekking opportunities in what is some of the finest mountain scenery in Europe. 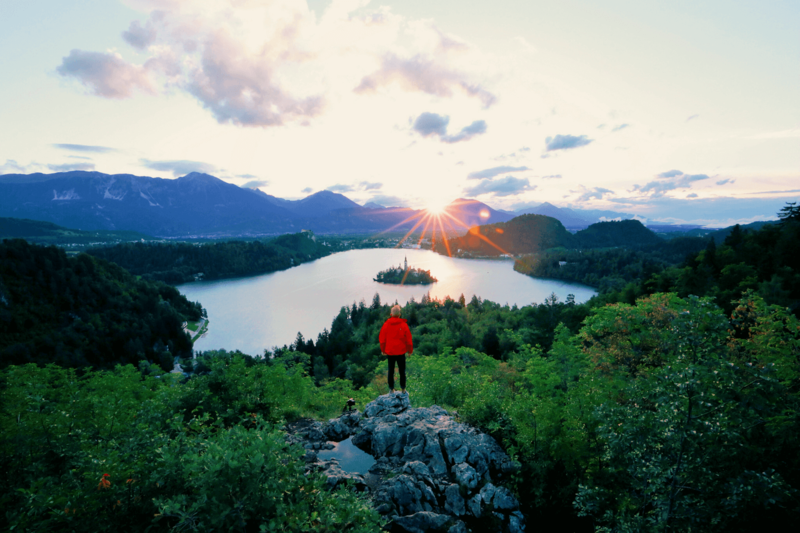 Characterised by high mountain lakes, peaceful alpine valleys and rugged limestone peaks, the Julian Alps retain their distinctive identity and originality. The walk ascends thematic paths and passes by beautiful turquoise lakes to complete a memorable journey The tour is suitable for fit walkers. It requires some basic experience of walking at high mountain levels and narrow paths. Not suitable for children. This is an exhilarating adventure that will appeal to alpine enthusiasts. Arrival to Bled, a world famous town on the shore of a beautiful glacial lake, with its unique island church sitting proudly in the lake, and the castle perched high upon a cliff standing guard over the town. Night in a 4* Hotel. A short morning car transfer brings you to the starting point, on top of Pokljuka high plateau (1280 m) – the starting point of many hiking trails in Julian Alps. 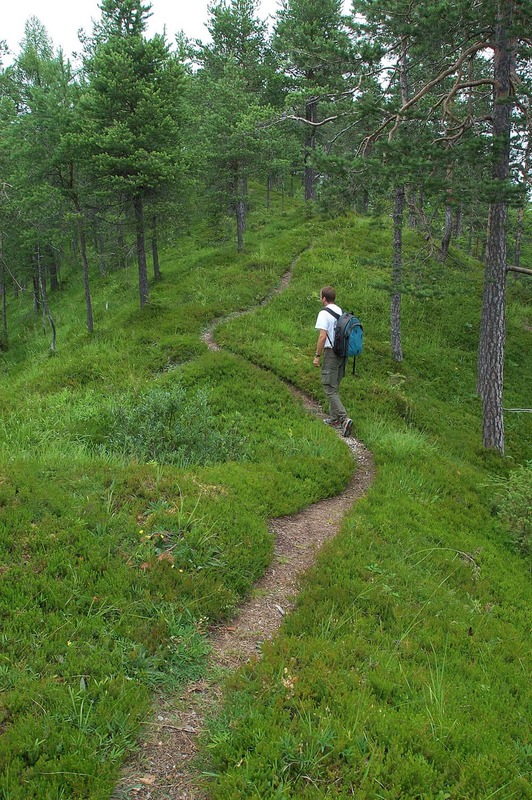 The warming-up hike will lead you over mountain pastures and through dense fir forests to up to Lipanska Hut. A typical hikers’ lunch can be taken there. The afternoon walk will bring you along a panoramic route (excellent views of Karawanke range, Pokljuka plateau, Krma valley and Bohinj Mountains) to biathlon centre of Pokljuka where you stay for the night in 3* Hotel. 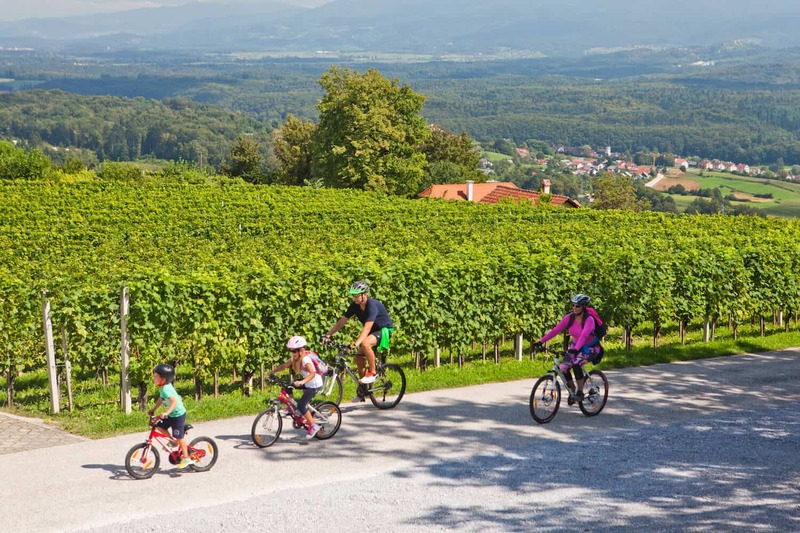 After breakfast – off it goes to the heart of Triglav National Park and Julian Alps. The trail slowly ascends to Vodnikov Dom hut, where lunch and rest can be taken. A daily destination is Planika hut, right underneath Mt. Triglav – highest Slovene mountain (2864 m). Planika Hut is an ideal starting point for a climb to Mt. Triglav, however, additional nights need to be booked there to accomplish this extra climb (the climb is partly a “via ferrata”, some alpine experience and a helmet are recommended). Today your main luggage gets collected at Pokljuka Hotel and is safely stored in Helia’s head office in Bled until you reach Bohinj at the end of the walk on Day 6. You will not have access to it until then so make sure you have everything you need in your backpack. Overnight in a mountain hut. After a hearty breakfast, you will start your walk across the Hribarice pass (2358m) in the direction of the Koča pri Triglavskih Jezerih hut. 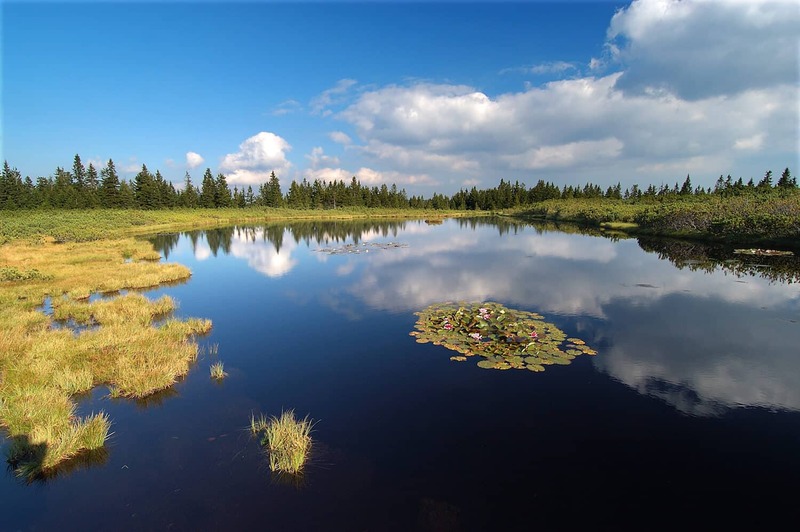 On your way to the hut, you can stop and admire the beauty of one the Triglav Park’s seven lakes, Zeleno Jezero (Green Lake), whose name is derived from the high algae content painting the lake a gorgeous lush green. As you continue on you will enjoy the beautiful view into the rest of the Dolina Triglavskih Jezer (The Valley of the Triglav Lakes). 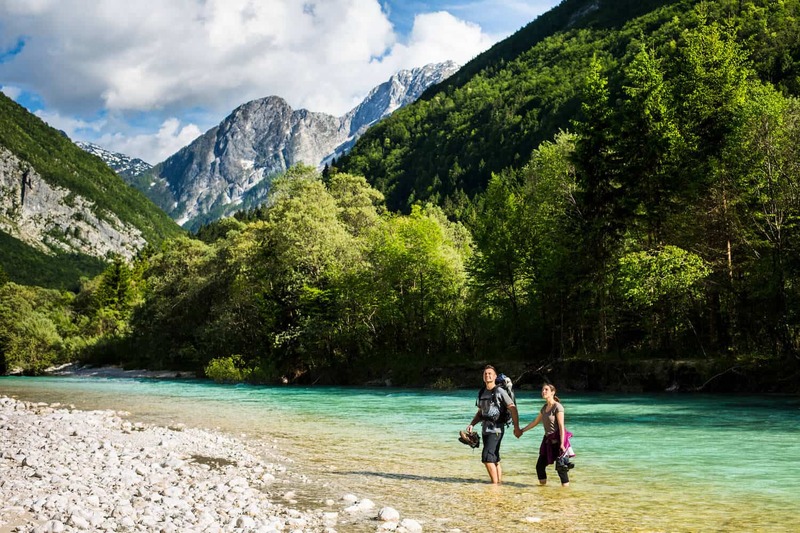 Walking in the western direction you will reach Black Lake – the lowest-lying lake in the Triglav Lakes Valley. It is named for its location in a basin in the middle of the forest, which stretches right to the edge of the Komarča rock face. It is the warmest of the Triglav Lakes. Ending your day at Komna hut you will also enjoy a great view of Bohinj Lake. After breakfast, a relaxing descend down an old military road brings you to Savica Waterfall, which is one of the most famous and popular waterfalls in Slovenia. An alpine Karst spring flows to the top of the waterfall and then cascades 78 metres and subsequently feeds the mighty Lake Bohinj. Walk along the northern shore of Bohinj Lake will bring you to Ribcev Laz village where you can warm your blood with delicious home-made honey brandy and schnapps in the local bars. During the summer months, one can enjoy a swim in crystal clear water of Bohinj Lake. Alternatively, one can ascend Mt. Vogel with a cabin cable car. From top (1532 m) you’ll be able to enjoy a perfect panoramic view of the Julian Alps and the area you walked previous days. Night in a 4* Hotel. After breakfast, you will be transferred to Lake Bled, a place that attracts visitors with its combination of natural wonders and unique culture and history. 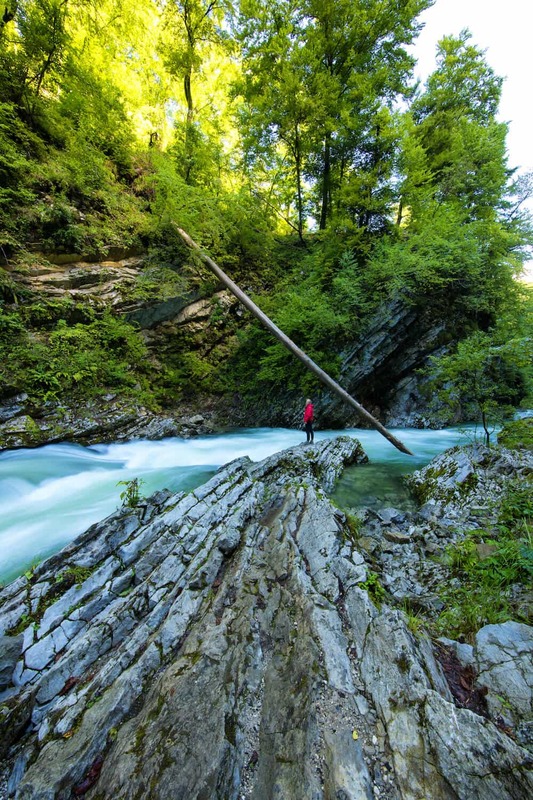 The surrounding region offers plenty of excellent hiking opportunities, including a walk to the stunning Vintgar Gorge. 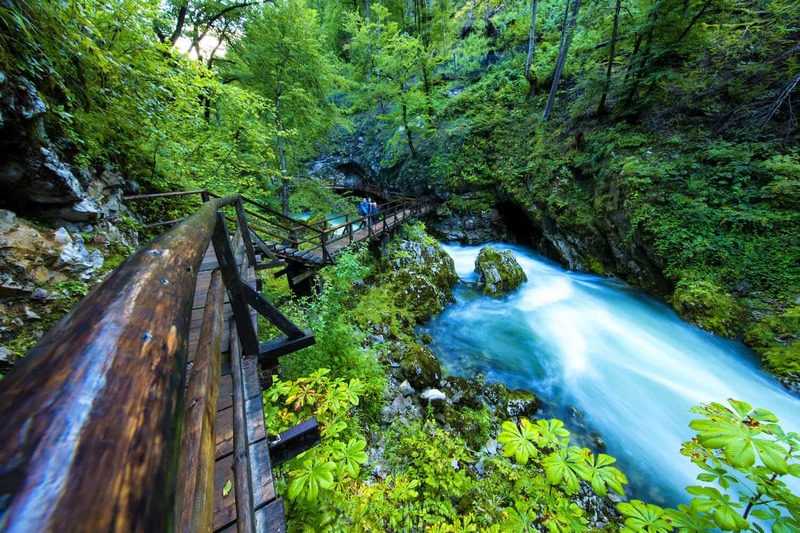 There is a 1600-metre long walk on a wooden walkway, which leads through the scenic gorge along the Radovna River to the Sum Waterfall. Heading east, following well-marked signs for Bled, you have about 1 km to the Church of St. Catherine. From here it’s about 4 km back to Bled Lake. 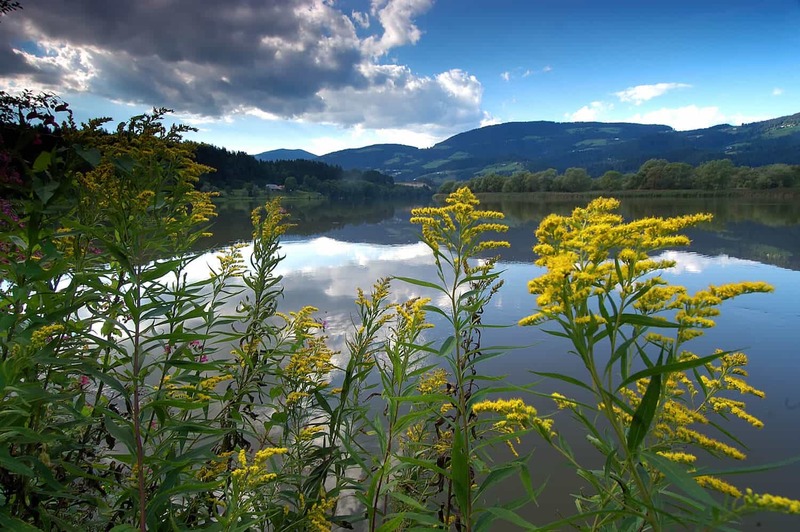 If you prefer a nice leisurely stroll on your final day, a hike around the lake takes about 1 hour. 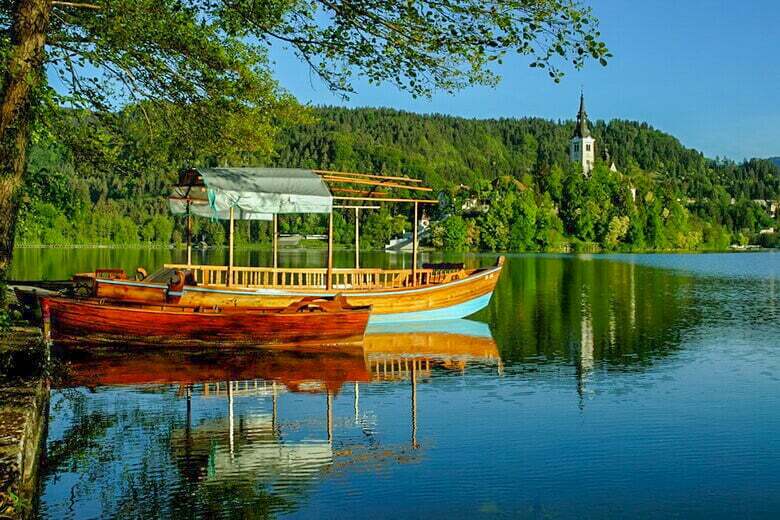 You can reach the famous island church on the lake by a special boat called “Pletna”, or visit Bled Castle and its museum inside. 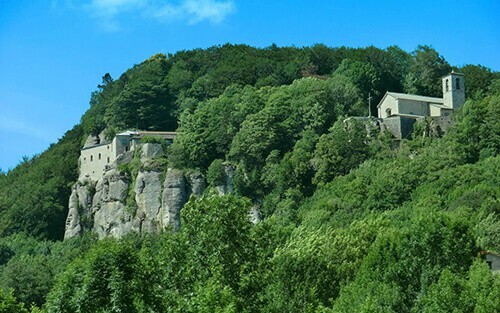 The museum hosts an interesting exhibition on the history of the castle. Your final night will be spent in a nice 4* hotel overlooking the lake in Bled. The best and closest airport to fly in is Ljubljana. 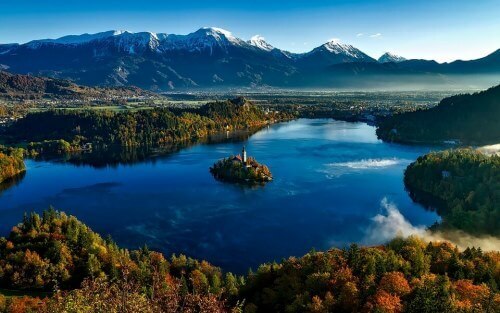 You can also book our private transfer from Ljubljana Airport to Bled and from Bled to Ljubljana Airport.